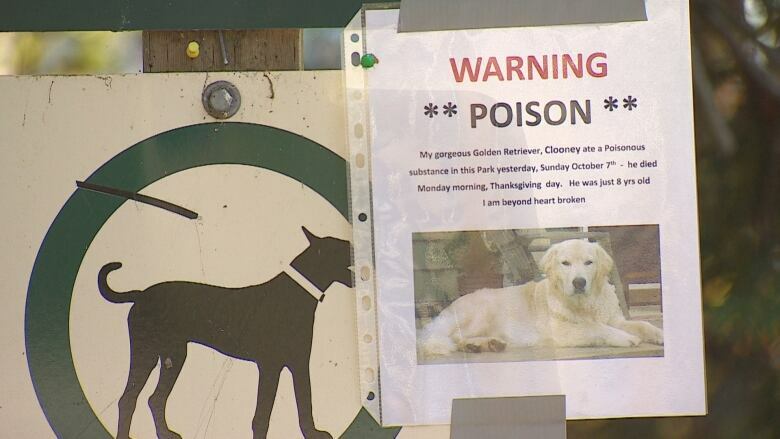 Police confirm two reports of fatal dog poisonings, believe toxic mushrooms to blame. When Joan Stewart-Gay took her golden retriever Clooney for a walk on a quiet Sunday afternoon, she had no idea it would be his last. 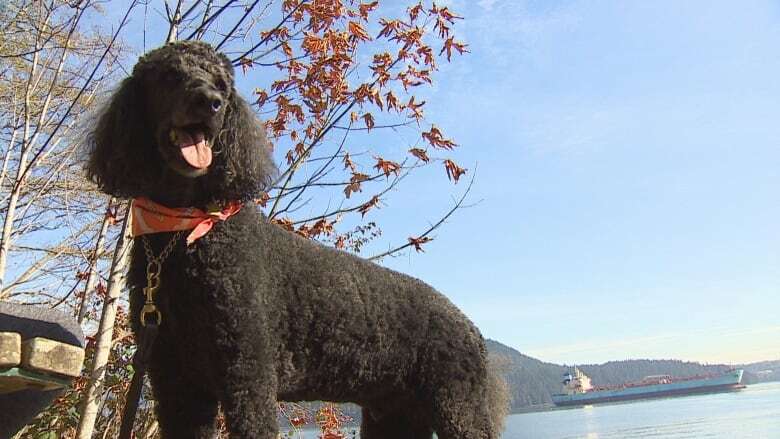 The dog nosed his way into some bushes during their walk in North Vancouver's Cates Park, Stewart-Gay said. At one point, it appeared he had ingested something. Later that evening, the dog started panting, and showed signs of discomfort. "He threw up at two in the morning, and again at five," Stewart-Gay told CBC News. "I got up to take him across town to the emergency... but by the time I got dressed and ready to try to take him, he was gone. "By 7:15 a.m. he took his last couple of gasps. And it was not a pleasant death." 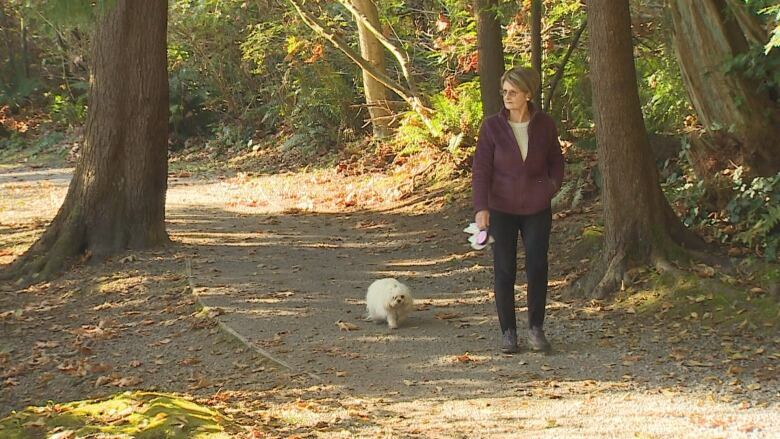 North Vancouver RCMP confirmed that at least two dogs have been fatally poisoned following visits to Cates Park. Police responded with a brief investigation. RCMP believe the dogs likely came into contact with toxic mushrooms. Following their investigation, staff from the District of North Vancouver combed through the area. "This is a particularly productive year for mushrooms, which grow annually in Cates Park," said Stephanie Smiley, a spokesperson for the district. 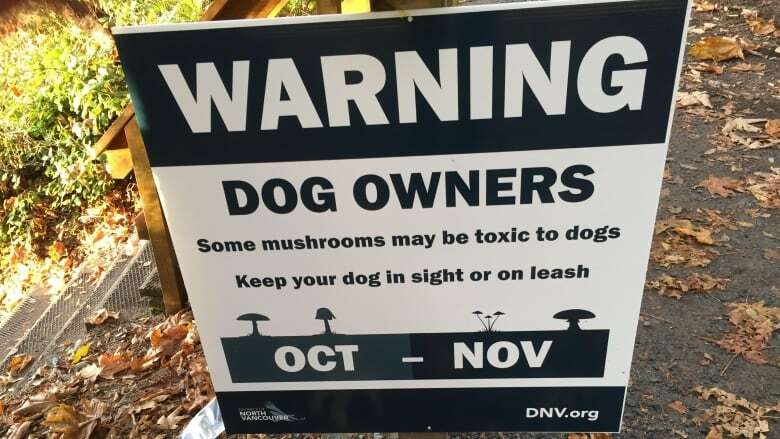 The district has installed signs throughout the park, warning that mushrooms might be toxic to dogs. Pet owners are warned to keep their dogs on a leash. North Vancouver RCMP Sgt. Doug Trousdell says police are working with the district and the B.C. SPCA to follow up on other reports of pet illnesses and fatalities. "We are of course open to the possibility that there's something else at play," said Trousdell. "We don't have any evidence that this is a deliberate act." Still, Stewart-Gay says she isn't fully convinced it was mushrooms that killed her dog. She wonders if the dog had gotten into some bad food, or toxic litter left behind in the bushes. She's posted a sign of her own, warning other pet owners to be vigilant. "He wasn't a little dog — he was a 100- pound gorgeous golden retriever," she said. "And he died within hours."